London have named an unchanged team for Saturday, while Chris Clarkson could make his Castleford debut. Danny Ward has named an unchanged London Broncos side to the one that lost at Hull Kingston Rovers last week. Sadiq Adebiyi and Matt Fleming could come back into the team after missing out on the final 17-man matchday squad at the KCOM Craven Park. 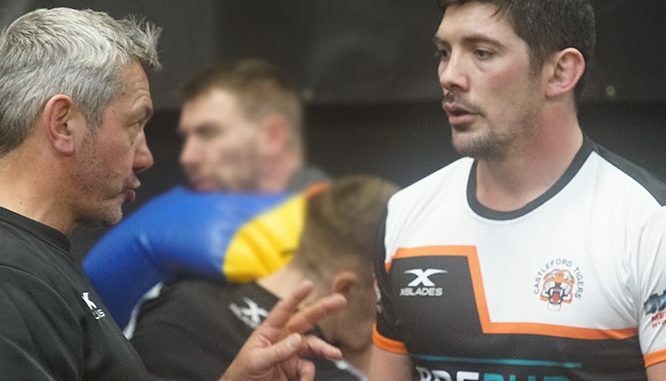 Castleford Tigers coach Daryl Powell has made three changes to his side that beat Hull FC last time out. Clarkson could make his debut, while Cory Aston and Matt Cook have been brought into the side. The trio replace Alex Foster, Ben Roberts and Mitch Clark. The televised Super League clash takes place at the Ealing Trailfinders on Saturday, 5:15pm kick-off. Drew’s dabble: Castleford are priced at 8/11 to win by 13+ points. London’s 19-man squad: Jordan Abdull, Sadiq Adebiyi, Eddie Battye, James Cunningham, Kiera Dixon, Matt Fleming, Matty Fozard, Matt Gee, Mark Ioane, Elliot Kear, Will Lovell, Nathan Mason, Ryan Morgan, Greg Richards, Eloi Pelissier, Jay Pitts, Alex Walker, Rhys Williams, Luke Yates. Castleford’s 19-man squad: Cory Aston, James Clare, Chris Clarkson, Matt Cook, Greg Eden, Tuoyo Egodo, Nathan Massey, Peter Mata’utia, Paul McShane, Grant Millington, Adam Milner, Greg Minikin, Junior Moors, Jacques O’Neill, Jordan Rankin, Jesse Sene-Lefao, Michael Shenton, Jake Trueman, Liam Watts. London are priced at 7/2 to win the game, while Castleford’s odds are 2/9.